Clinface® Gel is indicated for the topical treatment of Acne vulgaris.
. Wash the face gently with a mild soap and water, then pat the skin dry.
. Apply the Gel with finger tips through the face gently.
. Apply a sunscreen after the application of Gel.
. Do not wash your face more than 2 or 3 times a day. Apply the sunscreen cream as needed. 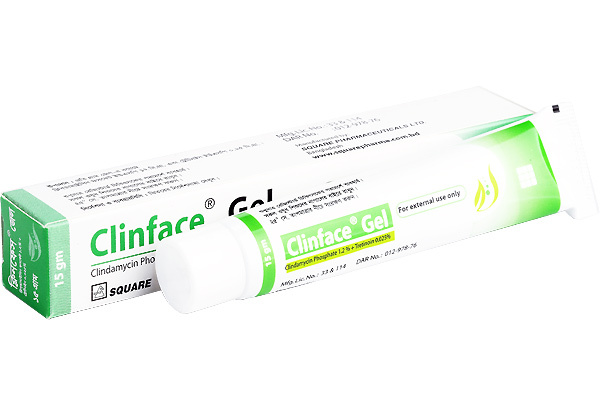 Clinface® Gel : Each tube contains 15 gm Gel.